Paul joined Griffin Residential in 2011. He oversees the Legal Department and is responsible for providing legal services for all aspects of the company’s operations. In addition to providing legal counsel to the senior management team, he participates directly in the company’s transactional matters, including acquisitions, construction, sales, leasing, property management, financing, joint ventures, and risk management. Paul is also responsible for engaging and supervising outside counsel for litigation and other legal matters. Paul’s experience in the homebuilding industry began in 2000. Prior to joining the Griffin team, he managed numerous residential master-planned development projects, and has extensive experience with entitlements, development, construction, marketing, and sales. Paul earned a Juris Doctor degree from the University of Denver, College of Law and a Bachelor of Science degree from the University of California, Santa Barbara. 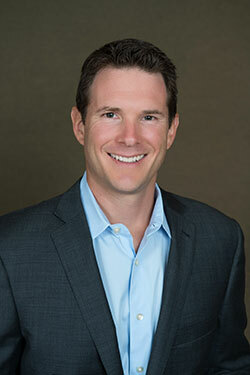 He is licensed to practice law in California and is a licensed California real estate broker. He is also a member of the Orange County Bar Association.